One of the best ways to see if the College of the Environment is the best fit for you is to visit our campus. We recommend planning your trip at least two weeks in advance (earlier for peak times — school breaks, holidays, October and April) to ensure that you can make the most of your time on campus. If there is a specific person that you would like to meet with while you are on campus, we recommend connecting with that individual prior to finalizing your trip dates so you can ensure that they are available to meet with you. 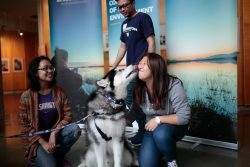 At the College of the Environment’s annual Future Student Visit Day, high school juniors, seniors and prospective transfer students are invited to explore College of the Environment majors, meet faculty and hear from current students. The 2018 event has now passed but stay tuned for details on future events (hint: sign up for our listserv to be in the know). UW Admissions offers a daily visit experience that includes a student-led campus tour and an admissions information session. You can learn more and register for these events on the Office of Admissions Visit Campus page. Schedule a meeting with our Pre-Major Adviser, Barbara Owens, to explore the various majors at the College of the Environment and see which options might be a good fit for your interests and career goals. Email coenvadv@uw.edu to set up your personalized advising appointment. Not sure how to get here? Here are directions to the College of the Environment. 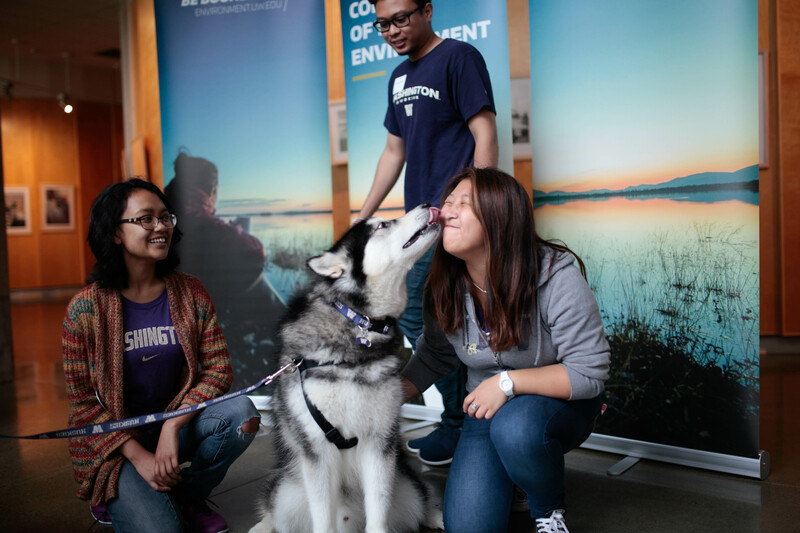 Check out our full list of upcoming events for future students offered through or hosted by UW Environment. Body: Your name, hometown, dates/times that you are available (M-F, 8 AM-6 PM, March 26 through April 27), anything that you would like your student ambassador to know about you (please include any academic interests, accessibility requirements, etc.). If you already know which major you are most interested in, you may want to schedule an appointment with a departmental adviser to learn more about course requirements, research opportunities, internships, study abroad opportunities and scholarships. Contact information, office hours and locations for our departmental advisers can be found on the Undergraduate Degrees page. You are welcome to meet with as many advisers as you like. The Office of Admissions provides an opportunity to attend an undergraduate class and get a feel for what it’s like to be a UW student during your campus visit. Details and instructions can be found on the Sample a class page on the Admissions website. 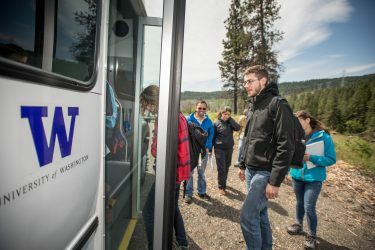 If you would like to sit in on a College of the Environment class during your visit, please contact Barbara Owens (coenvadv@uw.edu) at least two weeks ahead of your visit. She can coordinate with instructors to find an appropriate course for you to visit. Due to limited space availability in classes, class visits are for prospective students only. If you are visiting campus with parents or family members, we can suggest coffee shops and campus sites for them to check out while you are in class.